AAS Academy expands its scope from local to regional as it recently conducted an overseas training for fleet managers hoping to influence and improve their drivers’ safety culture. As drivers, most of us set out with the intention to drive safely. But do you really know all there is to know about safe driving and crash avoidance? For example, do you know how to apply the three-second rule? Have you ever thought about how the lack of sleep affects your reaction time? Do you know how much time you actually save if you increase your driving speed by 5km/h? AAS Academy courses not only answer these questions, but also help drivers and fleet managers understand on-the-road situations and instil good driving habits through lively discussions, simulations and videos. Its courses have been gaining traction since they were launched in 2015. The Academy took its Managing Driver Behaviour course to new heights when it successfully conducted its first overseas training workshop for French multinational company Air Liquide on 29 October 2018 in Bangkok, Thailand. The course, which had 28 participants, was presented as part of the SEA Cluster Road Safety Seminar. Attendees included transport managers, supervisors, and safety personnel from Singapore, Malaysia, Brunei, Thailand, Philippines, Indonesia and Vietnam. Designed by the Royal Society for the Prevention of Accidents (RoSPA), the one-day course equips line managers with the knowledge and skills to effectively manage people who drive for work on a day-to-day basis. It helps them understand the influence and effect they have on drivers’ behaviours and play an active role in creating an accident-free culture. The course also covered external factors that can cause accidents, from human error and road condition, to weather and other road users. “The activities and case studies shared at the course were good. It was useful to understand that, in order to change behaviour, we need to find a way to influence drivers’ beliefs,” commented one participant. 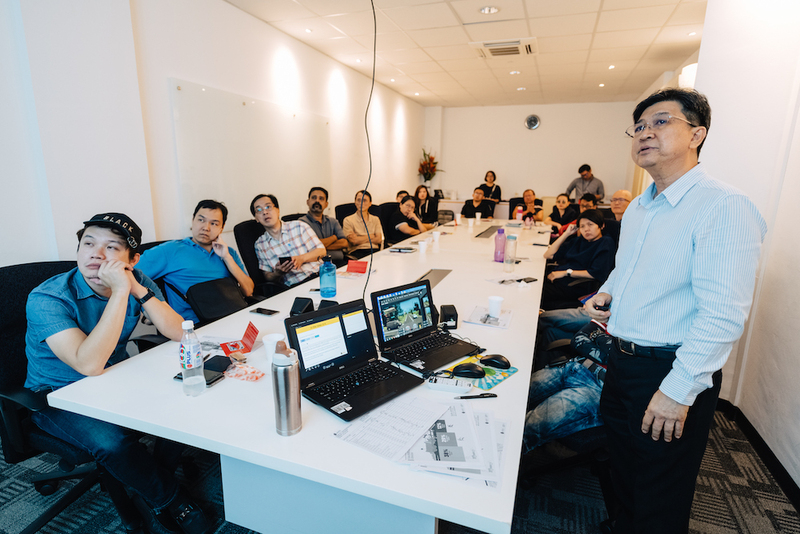 In Singapore, the Academy conducted the Crash Prevention course for drivers of new ride-hailing group TADA on 25 October 2018 at GB Point in Kallang Bahru. TADA is operated by Singapore-based blockchain start-up Mass Vehicle Ledger (MVL) Foundation. With 19,000 private hire car drivers and a 110,000-strong user base, the company is taking an important step towards keeping roads safer by encouraging their drivers to sign up for the Academy’s Crash Prevention course. TADA drivers posing for a group shot with their trainer, Mr Tay, after class. The course is designed for drivers who spend a lot of time on the road. Vocational drivers travel six times longer than private car drivers on average. Bad driving habits as well as fatigue due to long hours of driving are factors that could result in road accidents. The course, which addresses general road safety accidents and issues specific to experienced drivers, was conducted in a lively and interactive way. Participants were quick to warm up and shared their personal encounters on the road. One participant, Adrian Loy, shared that he signed up to upgrade himself. The air-con contractor and part-time TADA driver found himself learning more than he expected. “I found the three-second rule useful as a guide to keep a safe distance from the car in front of me,” said Adrian. He looked forward to acquiring more safety knowledge so that he can do more as a driver. Another participant, Steven Ng, attended the course to learn how best to protect himself and avoid crashes caused by other drivers. His pet peeve is encountering drivers who do not signal when they turn into his lane. The course taught him ways to deal with tailgaters and look out for signs to avoid accidents. “As a full-time or part-time driver, it is important to learn to react appropriately to other drivers around us,” advised Steven. Having personally experienced falling asleep while driving, he found the section on the dangers of fatigue especially relevant. Receive up to 95% funding from SkillsFuture Singapore (SSG) for AAS Academy’s Crash Prevention Course and offset the payable amount with your SkillsFuture credit*. 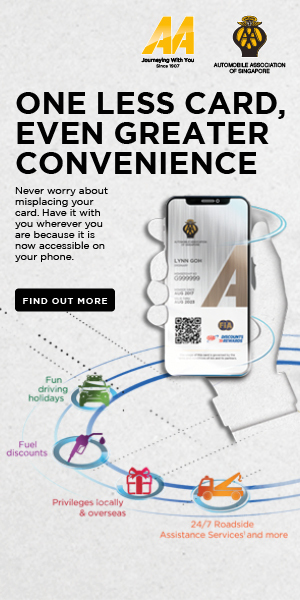 To find out more, visit http://aasacademy.com.sg/portfolio-item/crash-prevention-course. 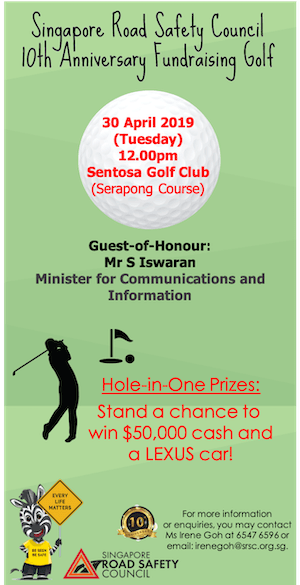 *SSG funding available to Singaporeans and PRs aged 21 years and above. SkillsFuture credit available to Singaporeans aged 25 years and above.